Smartphones were once very niche products that catered only to high-end business users, but that is no longer the case. Everyone from soccer moms to teenagers, small business owners to grandparents are using smartphones now, and this has created a market that is more competitive than ever. As a discerning consumer, it can be challenging to figure out who makes the best smartphones, but there are a few brands that have risen to the top in recent years. The information below is believed to be accurate as of the writing of this article in September 2013. 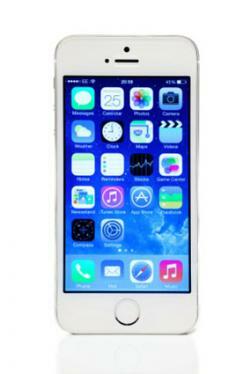 Apple is widely regarded for producing some of the best smartphones in the world with its iPhone series. This is particularly true in the United States where, as of July 2013, Apple held a 40% market share among all smartphone companies. The market share on the international market is decidedly smaller at approximately 17%, according to E's Phone Blog, but the iPhone continues to dominate public discussion for its great industrial design, relative ease of use, and several unique features. How Can We Use Cell Phones to Keep Us Safe? The iPhone is the only smartphone with the Siri digital assistant, and it has access to the largest smartphone app store on the planet. The iPhone is also the best fit within the increasingly popular Apple ecosystem, which include the MacBook, Apple TV and the iTunes Store. Current notable models include the flagship iPhone SE, which starts at $399 on contract, and the iPhone 6S, which starts at $299 on contract. While the Apple iPhone continues to occupy a great deal of the public mindshare, Samsung is the leading developer of Android smartphones. According to E's Phone Blog, the Google Android platform has a worldwide market share of approximately 75%, and Samsung is the company that leads all others in this category. Indeed, as of the second quarter of 2013, Gartner Newsroom says Samsung's global sales accounted for nearly 32% of all smartphone sales to end users by vendors. Since Samsung manufacturers many of the components in a smartphone, like the display and memory, it is able to leverage this advantage to create one of the widest selections of smartphones on the market. Samsung has phones with just about every screen size and fitting nearly every budget, from less expensive handsets for cheap prepaid phone service to flagship devices with industry-leading specs and features. Samsung introduces several features on top of the Android platform, including an S Voice digital assistant and Air View touchless controls. The flagship device, as of fall 2013, is the Samsung Galaxy S6. Contract prices with most major carriers have it listed at around $300. 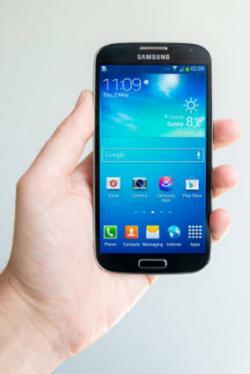 The Samsung Galaxy Note 3 is also a popular choice at around $199 on contract. Samsung also has many lower cost models that can get under $100 on contract. While Sony has had its share of struggles in the smartphone world, it has caught up to the competition with its most recent slate of Xperia smartphones with the Android platform. The company has worked carefully to provide a high-end look for flagship devices like the Xperia Z1, which follows up on the Xperia Z and Xperia ZL. Reviews have generally been positive, with Phone Arena saying the Z1 is "more eye-catchy than most other Android models" and that "you can easily tell that it's a high-end product too, thanks to its solid glass and metal casing." Sony also leverages its technologies from its other divisions, like the music player with Walkman branding, the Bravia Engine for the display and the imaging technology like the 20.7 megapixel G Lens camera found on the Z1. A factory unlocked Sony Xperia Z1 sells for $750 and costs much less on contract. The more affordable Xperia SP with its more mid-range specs and features sells for about $325 outright or as low as $0 on contract. Nokia was the undisputed leader in smartphone market share from 1996 to 2011, dominating the marketplace with its Symbian-powered devices. However, with the rise of Android and iOS, Nokia faced a lot of struggles and is nowhere near as popular today. Its focus has most recently changed, with a pending sale to Microsoft and a switch largely away from its own in-house OS (Symbian) and toward Microsoft's Windows Phone platform. While Windows Phone devices are technically made by other companies, like Samsung, the vast majority of the Windows Phone segment can be attributed to Nokia. According to Gartner Newsroom once again, while Android and iOS continue to be the dominating forces, Windows Phone has become the third largest smartphone platform with a 3.3% market share, jumping ahead of BlackBerry, Bada, Symbian, and others. The Nokia Lumia devices continue the company's longstanding tradition of building fantastic hardware with high call quality. Build quality is great, and higher end models have class-leading cameras. The variety of colorful cases on Lumia phones gives them a unique and attractive look, one that may have inspired the colorful plastic on the iPhone 5C. The budget-oriented Nokia Lumia 520/521, despite having an MSRP of only $150 without a contract, represents a fantastic value for prepaid users who want all the smartphone features without having to pay a flagship price. Consumers who are more interested in higher end features can still find a lot to like from Nokia, like the Lumia 1020. This flagship phone has a very impressive 41MP camera with Carl Zeiss optics and optical image stabilization. It is available for as low as $150 with a two-year contract. While HTC may not get the same level of attention as a Samsung or a Motorola, it is still one of the most notable and desirable manufacturers of Android smartphones in the world today. It does not have the dominating market share that Samsung enjoys, but its flagship HTC One has been very well received by the professional press. The review on tech blog Gizmodo calls the HTC One "one of the most exciting pieces of hardware we've seen in a long time." While it will certainly be challenged by newer and fancier devices, the HTC One is heralded as "looking like the best Android phone you'll be able to buy for the foreseeable future." The praise is heavy on the great design and build quality, as well as its high performance and fantastic high-resolution display. The front-facing speakers, to the left and right of the display when held in landscape mode, are also of higher quality than what is typically found on a smartphone. 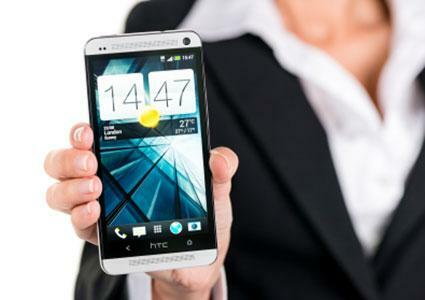 The HTC One is available from a number of carriers, including AT&T, Sprint and Verizon Wireless. Current pricing ranges from $0.01 to $119.99 on contract, with the factory unlocked model selling for around $600. The term "best" is relative because different people will have different priorities and preferences. Some people may really like the Apple ecosystem, and the iPhone 5S could make the most sense to fit in with their other Apple products. 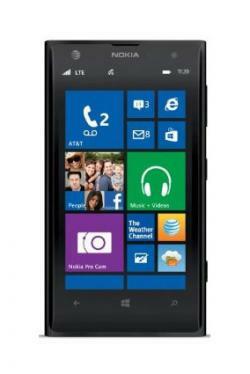 Other people may prioritize a really powerful camera, and a flagship Nokia Lumia device may be most appropriate. While one person may prefer the design of Samsung's Galaxy devices, another may like the more industrial design of the HTC One. At the end of the day, determining what is the "best" smartphone and who is the "best" smartphone manufacturer becomes a matter of personal preference, but any of the models referenced here are worthy of consideration.